Over the weekend, I needed to make a quick, easy to make, non-messy, finger food dessert. 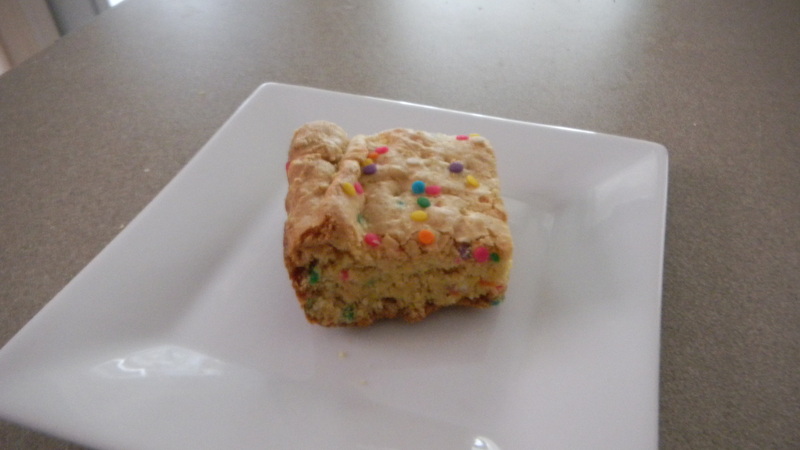 I settled on cake batter blondies. I followed this recipe and the results were great. One thing that really surprised me was just how thick the batter was. It took a while to get all of the batter in the baking pan. I changed up the recipe a little bit in that instead of rainbow sprinkles, I used sprinkle dots. I liked the pastel colors against the blondie. 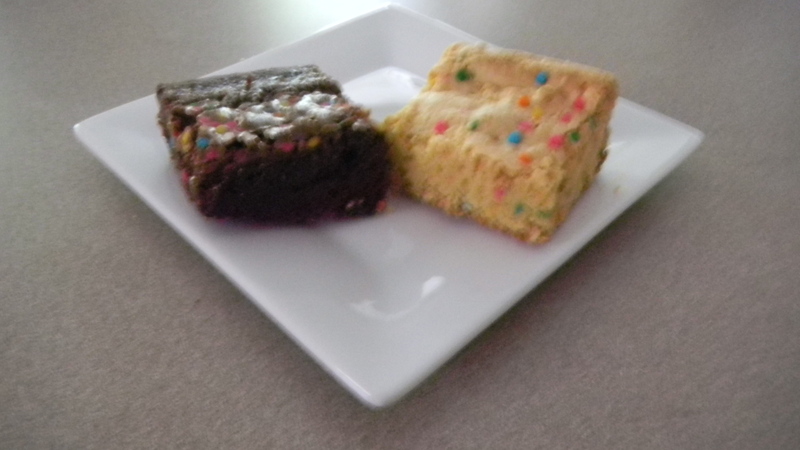 To offer some variety, I also made some brownies. Just plain old straight from a mix brownies doctored up with some baking chocolate. 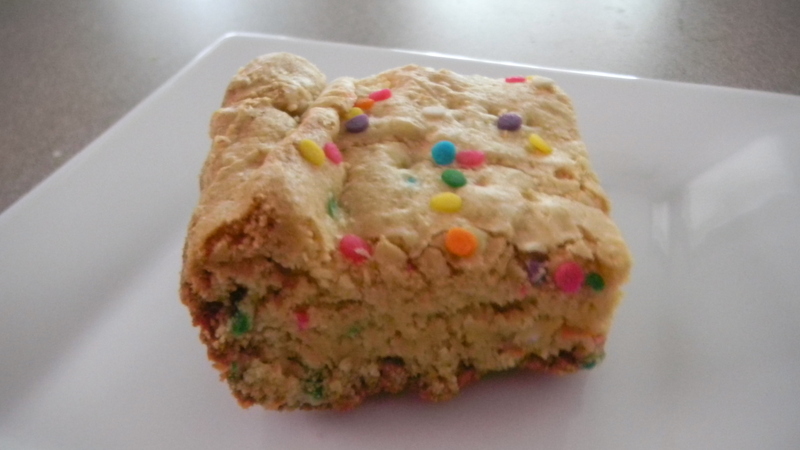 Oh, and of course, I added the sprinkle dots to make them match the blondies. I highly recommend these tasty treats.